We accept beginners continuously during the entire term. 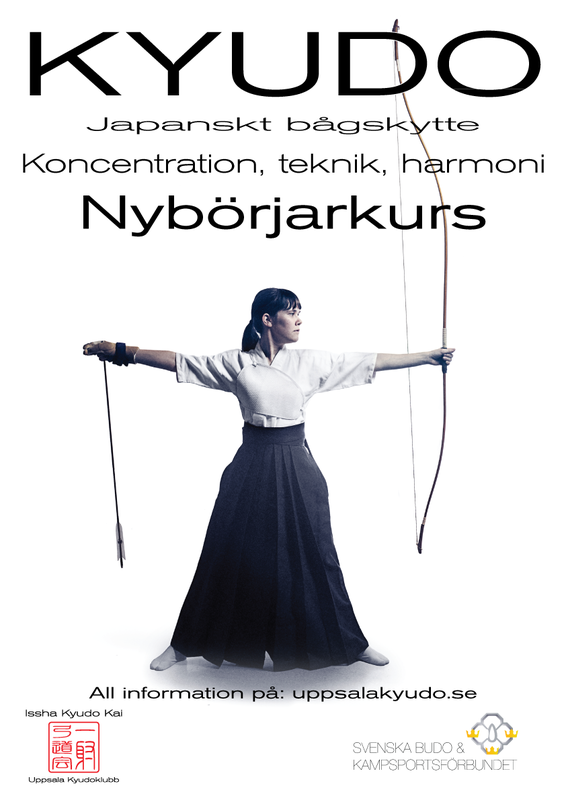 If you're interested in taking up kyudo, drop us a mail, and we will reply with more information. A beginners' course consists of two consecutive introductory classes and costs SEK200, which is your membership fee, and is to be paid in cash at the first class. If, after concluding the beginners' course, you decide to continue practising, it will cost another SEK1,300 for the term/practice fee (SEK900 for students/seniors/children/unemployed). For the beginners' course, regular training attire is acceptable, although it is desired that the kit as far as possible adheres to the same colour scheme as the proper practice dress, i.e. a white t-shirt or sweater (without zippers or buttons), black trousers and white socks. Later, you will get help from the instructors to order your own practice dress. Other necessary equipment can be borrowed from the club to begin with, but when you have decided that kyudo is the thing for you, it is best to acquire at least your own shooting glove and a set of arrows.